We were so sad not to be able to attend the opening night of the exhibition of Rubbish organized at Le Cabinet d’Amateur in Paris 11th, that we decided to go and meet the artist on the last day of his solo show a couple of weeks ago. 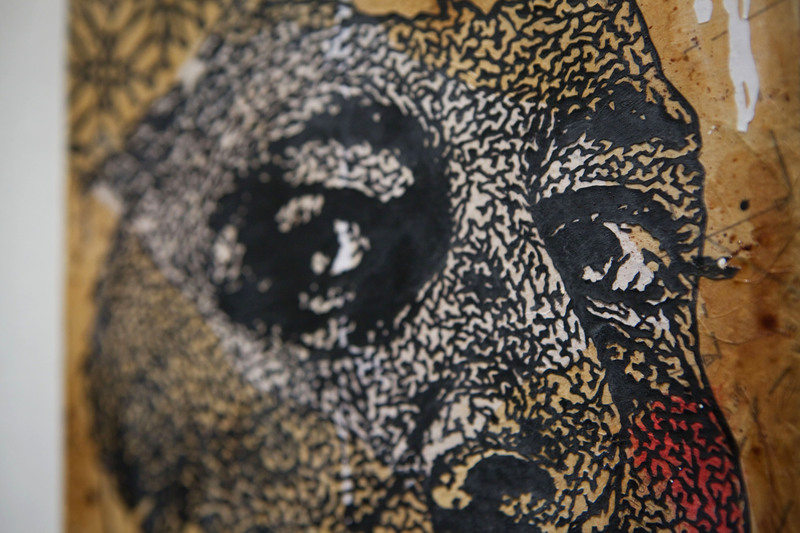 We knew that his artwork was awesome, to have seen it on the streets in Paris, but to see it closer, was even better. The details are crazy. He works very hard on each piece and spend hours to cut… until he hurts his fingers!! Why rubbish as his artist name? Simply because he started playing music in a band, called “Dirty Rubbish” and likes the word “rubbish“. So as he is making a lot of rubbish cutting his pieces, make sense that he keeps the word in his artist name. Then, cube, to make a funny joke as rubbisk cube vs rubbish cube… and everything started! But he is not as fan of his artist name as he was when he made the joke with rubbish cube, so he now wants to get rid of “cube” and keep only “Rubbish”. Well, let’s call him RUBBISH ! 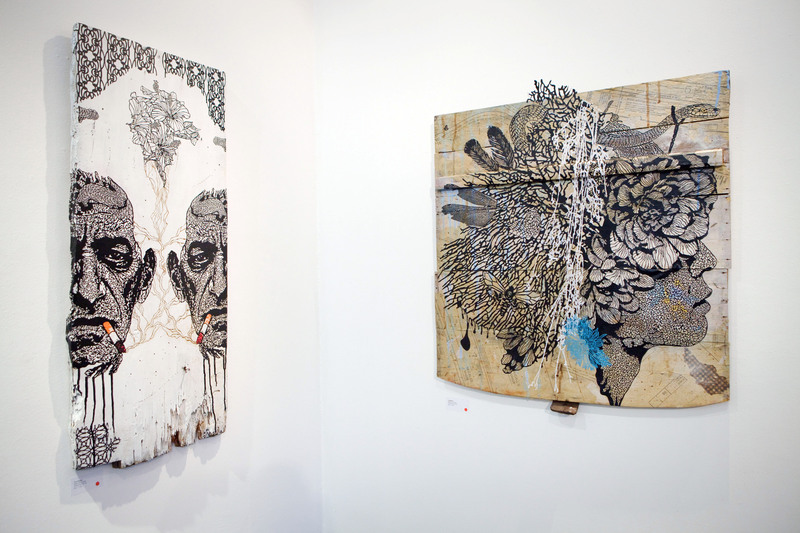 Below, these are a few photos of his last solo show in Paris: the paper cut-up show… just enjoy! 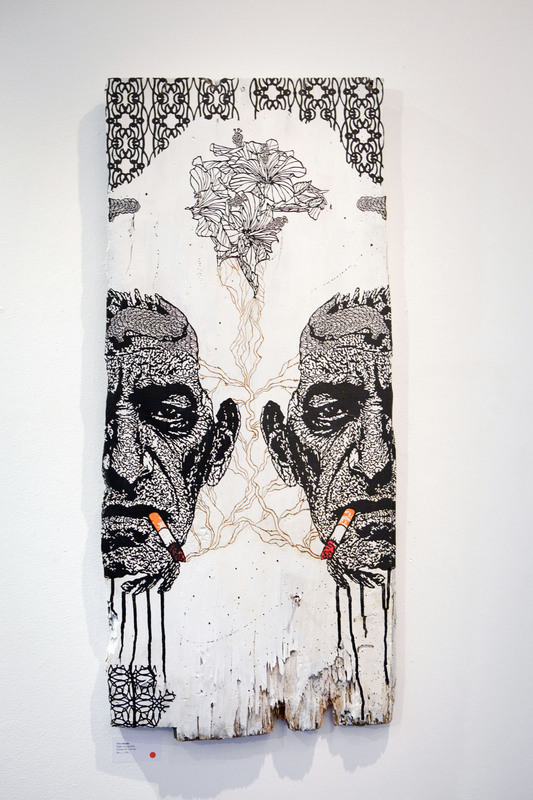 Last June 2012, he participated in the group show “Urban collages” where he flirted with success. So not astonishing to see him back at the gallery for his first solo show this time. He worked very hard on this exhibition, months long… and the result is amazing. I loved each piece, they’re all different but very catchy! Well done! 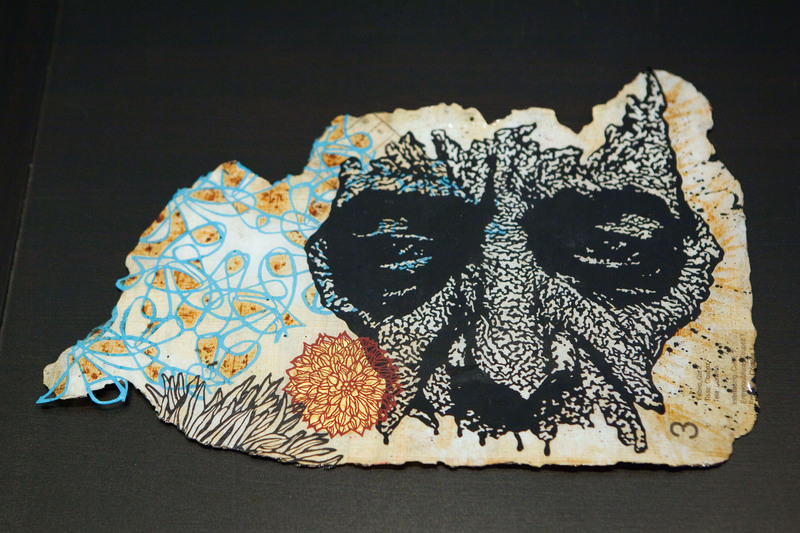 Rubbish, French street artist, 32yo, living and working in Besançon, works on paper-cut as fine as lace. Inspired by people of Beat Generation (William S. Burroughs, Jack Kerouac et Allen Ginsberg) — he also takes photos no matter who it is and plays with them. See him next at the M.U.R. where he will put a massive piece on the wall on the 23rd of January 2013! Get ready and see you there!